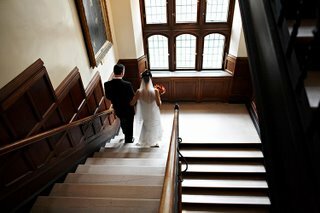 I recently shot a nice wedding in Montreal. I like these two images. 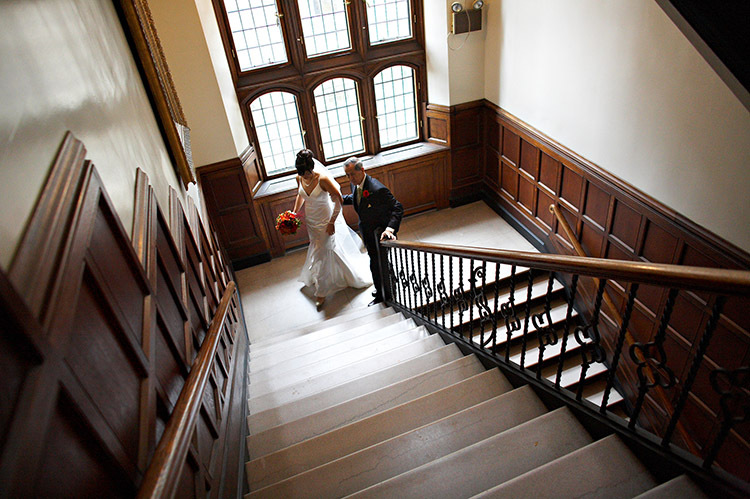 In the first, the father accompanies his daughter up the stairway. A few minutes later, she descends with her husband.